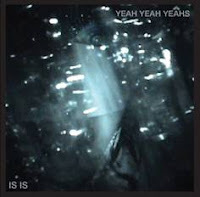 Yeah Yeah Yeahs' new EP Is Is is(?) a collection of five songs that have become regulars in the band's live performances, but have yet to find a home on one of the band's proper full-length albums. Although, it is a bit unclear exactly when these songs were recorded, these five songs sound completely out of sync with their last album Show Your Bones. These songs have a much harder edge, and much rawer vocals, guitars and production, reminiscent of their earlier EPs. Though I liked Show Your Bones, like all great indie posers I loved their earlier work, and it's great to hear the band return to form. 'Down Boy' starts off with a quiet guitars and a simple beat, before exploding with Karen O's screaming vocals and screeching guitars. Definitely worth checking out.